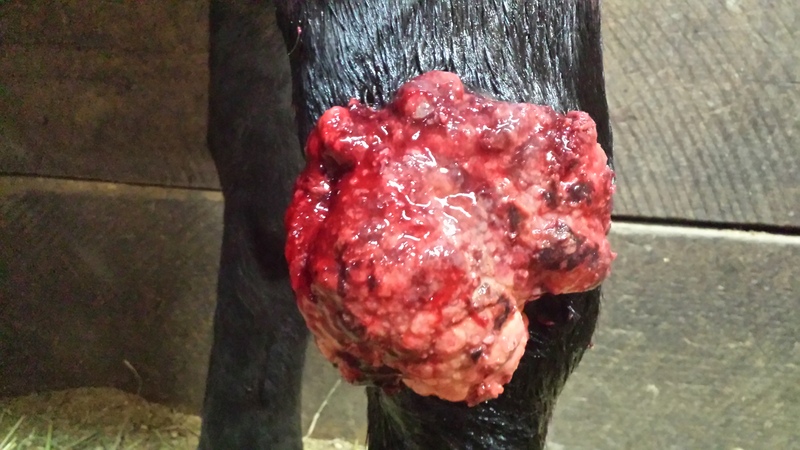 Sarcoids on the leg and pastern area can be difficult to treat due to the limitations of the location. The products outlined below work well together the Body Balance SC Formula with essential oils works best to break down the sarcoid tissue. 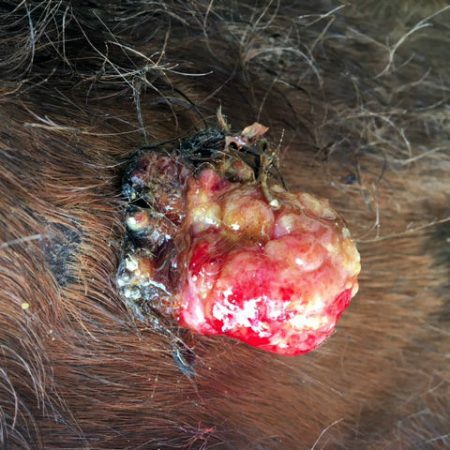 The Sarcoid Wash not only keeps the area clean but also helps to reduce any itching or discomfort that may appear. The Immune Builder helps to clear the virus from the blood stream and supports the kidneys and liver. Body Balance Immune Builder is more than a generic immune supplement but is uniquely formulated to assist in cleansing the Bovine Papilloma Virus. 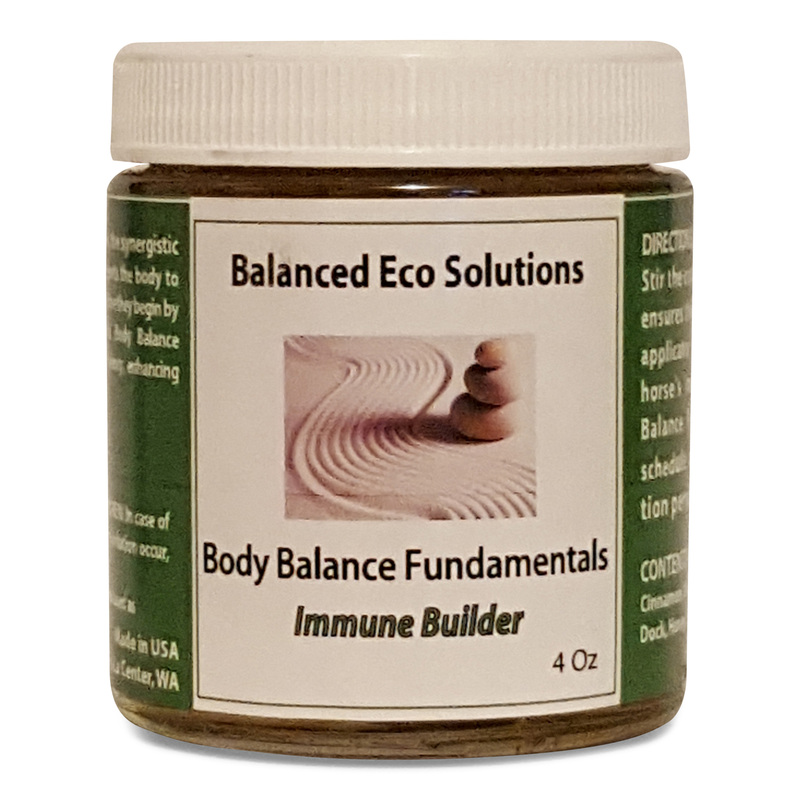 Immune Builder can be used by itself or in combination with other sarcoid remedies. It can also be used as post surgical support. During our field trials we saw excellent results using Immune Builder in combination with Sarcoid Salve. We saw a reduction in treatment time because of the surface and internal approach. We have used the Immune Builder for other "viral" based applications like Equine protozoal myeloencephalitis (EPM), Stangles, and Pigeon Fever. The Immune Builder can also be used as part of a Vaccine Protocol. 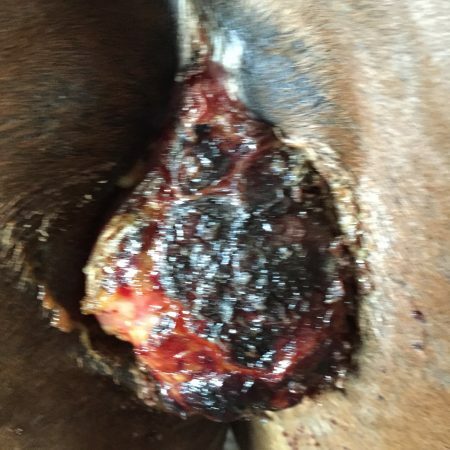 Feeding it daily the week before, during and after vaccines helps your horses immune system to provide a response to the vaccine as well as supporting the kidneys and liver in processing the virus / virus residue out of their system. 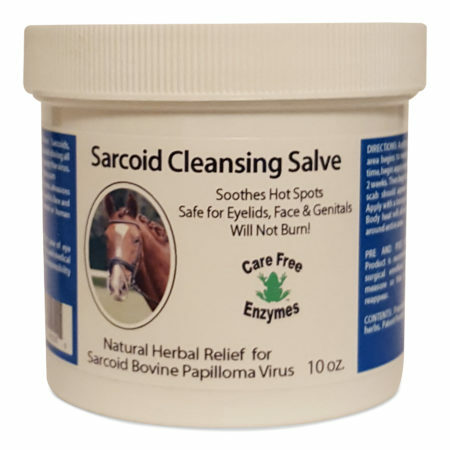 This is a great way to clean the sarcoid before applying the salve. 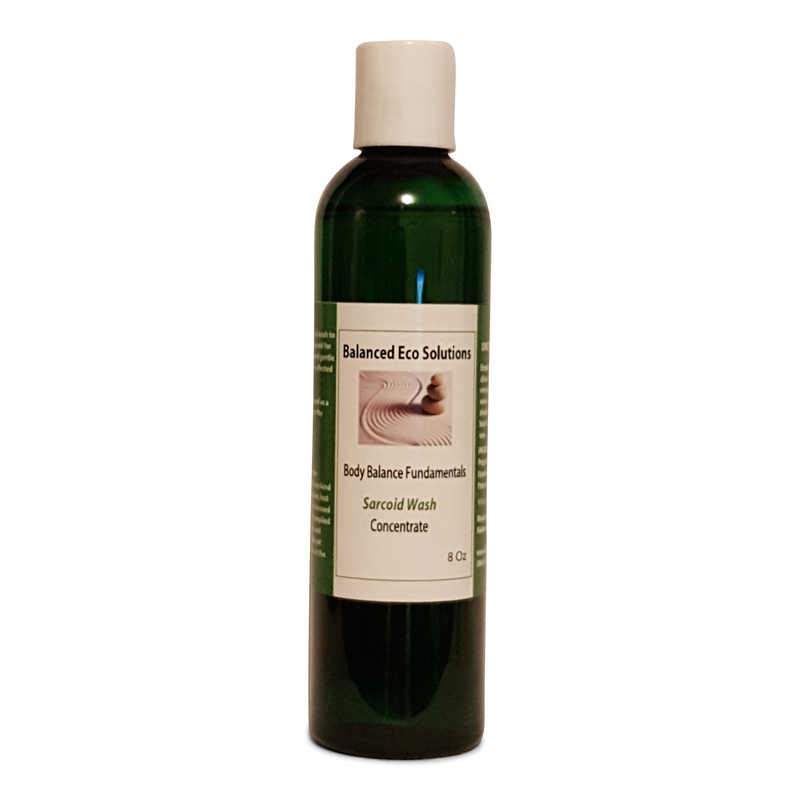 Sarcoid Wash is a blend of essential oils mixed with witch hazel in a concentrate. All you need to do is add water. The concentrate makes two 16 oz spray bottles of product. The wash can also be used as a first aid spray, bug bites, Mud Fever. Earn up to 193 Points. 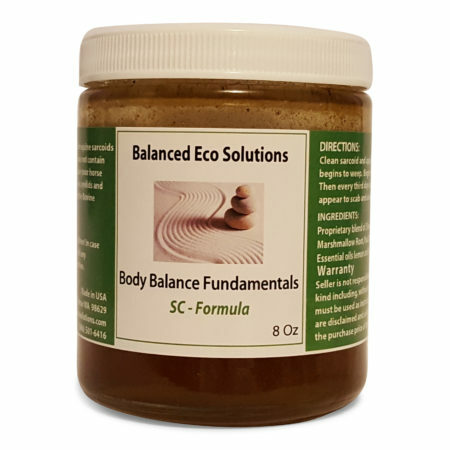 The SC Formula, Immune Builder and Sarcoid Wash are the main components of the program. They all have specific jobs that they do extremely well. If budget is an issue the natural selection would be the SC Formula and Immune builder.